EUROPE: MEPs in the European Parliament in Brussels this morning voted in favour of the principle of setting a further EU-wide renewables target for 2030, although a motion to set the target at 45% failed by one vote. Around 520 of a total 700 MEPs attended the plenary session in parliament that discussed the EU's 2050 Energy Roadmap. The majority were in favour of setting a 2030 renewables target that increased the 20% EU-wide 2020 target. However, a proposal to set that target at 45% failed by just one vote to secure majority support. Today's parliamentary support for a new 2030 target of any kind is the first step in a lengthy bureaucratic process to enshrine the target in EU law. The next step will take place on 27 March when the European Commission publishes its Green Paper. 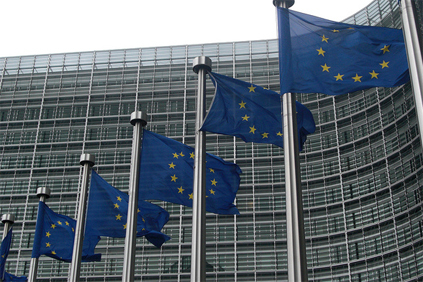 The European Wind Energy Association (EWEA) welcomed the MEPs support for a 2030 target. "The parliament has once again recognised what a strong renewables industry, driven by ambitious targets, can do for Europe's economy, jobs, energy security and the climate," said Stephane Bourgeois, EWEA head of regulatory affairs. "The European Commission must heed the parliament's support for a target when it publishes its Green Paper on 2030 energy policy in the next few weeks." MEPs also used this morning's session to condemn the retroactive changes to renewable energy support mechanisms taking place in several EU member states as detrimental to investor confidence.